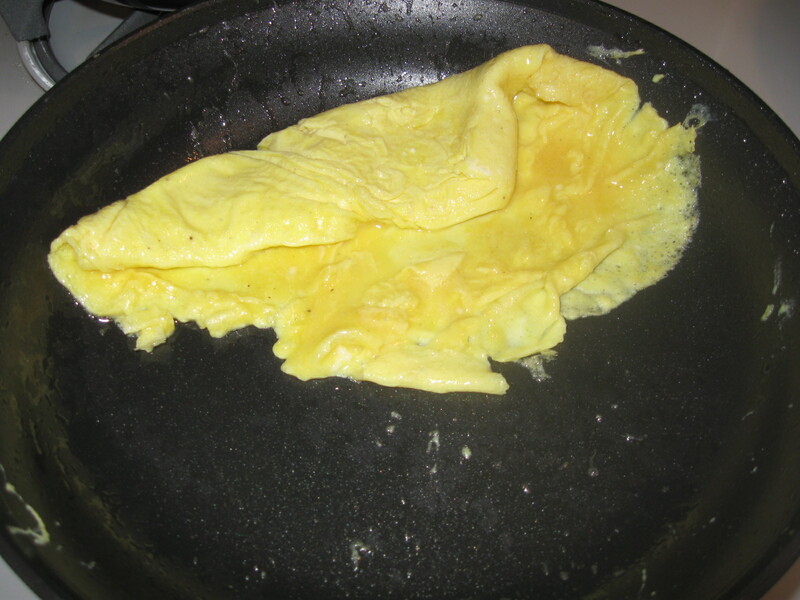 I learned how to make omelettes from Julia Child and Jacques Pepin about ten years ago. Indeed, I think I saw Jacques making an omelette but as far as I can tell there’s no much difference from Julia’s way that you can watch here if you have time. I never went back to my old ways. I love these bright yellow and soft omelettes. Here’s how I made them for the family today, with some work-in-progress pictures to demonstrate the steps. Use an 8 inch omelette pan. That’s the perfect size for a single omelette with three eggs. You can’t really make a huge omelette for many people in one pan. You have to go one at a time. Put the butter in and wait until it becomes bubbly. Pour in the beaten eggs (already with salt and pepper). 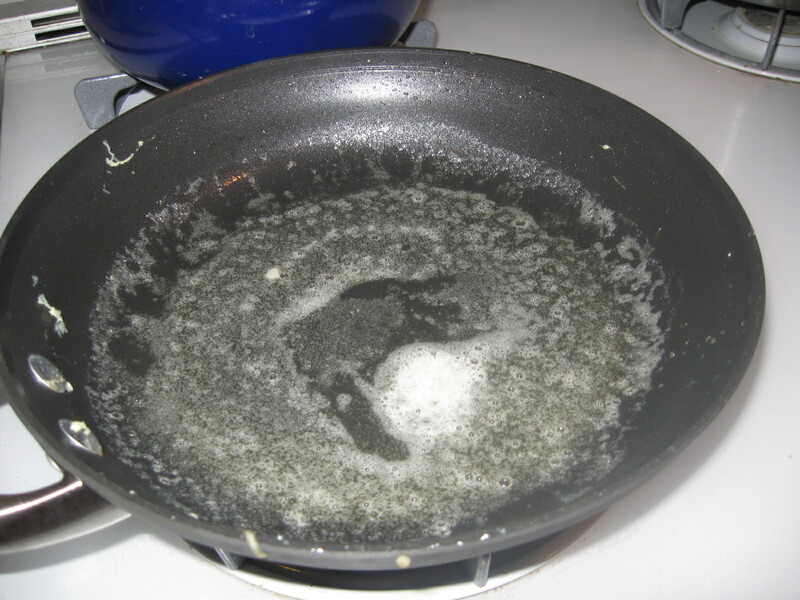 While the eggs start coagulating start shaking the pan to a) disallow the bottom from overcooking and b) make room for the liquid parts to go on the pan and get cooked. I both shake the pan and also use a spatula to detach the edges of the omellete from the pan and sometimes simply to push the omelette back and make it easier for the liquid parts to reach the bottom of the pan and cook. 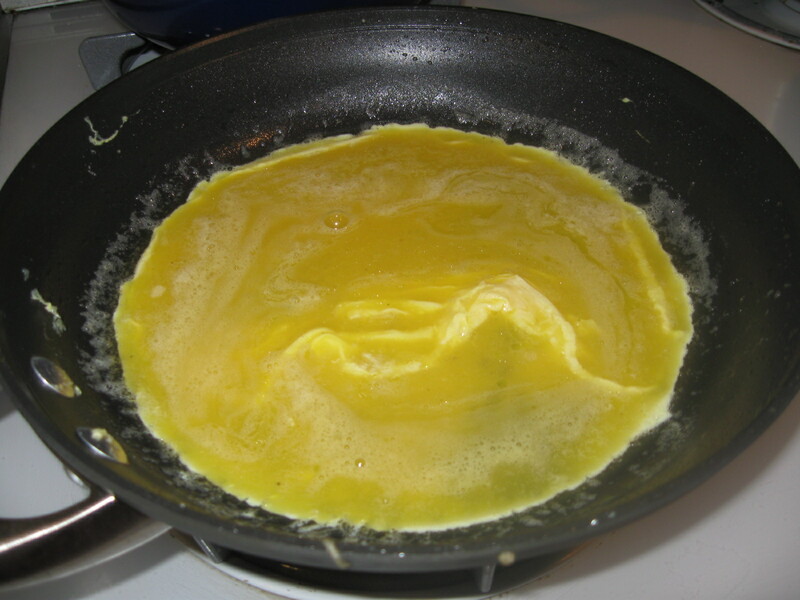 As the eggs coagulate, especially at the edges, start shaking the pan such that the cooked part starts folding. This is importaant for the omelette to stay yellow and keep soft while the liquid parts are still cooking. Julia doesn’t but then her eggs are a tad too yellow and not done for me. I’m pretty sure Jacques folds in the omelette in the pan and it works. 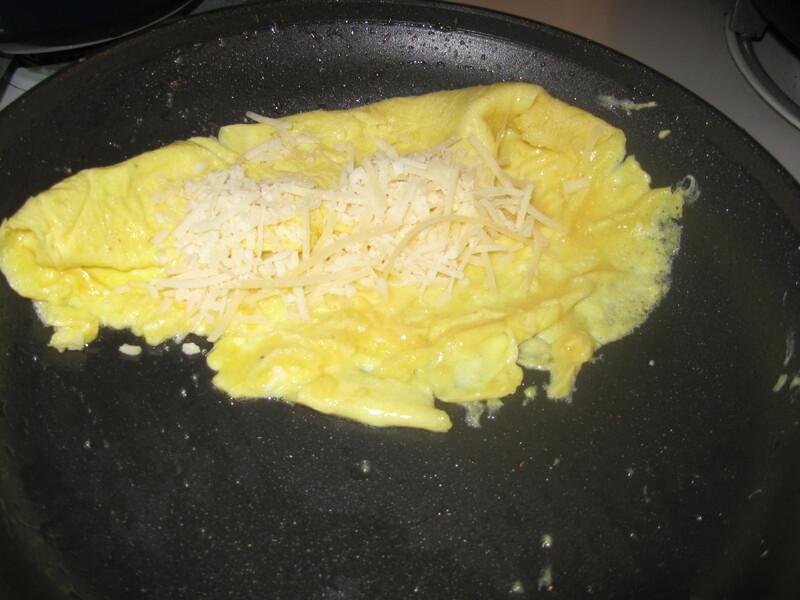 When you have folded about half or more of the omelette spread the cheese. Use a spatula to finish up the folding and turn it to the plate placing the upper part of the omelette to face the bottom of the plate. 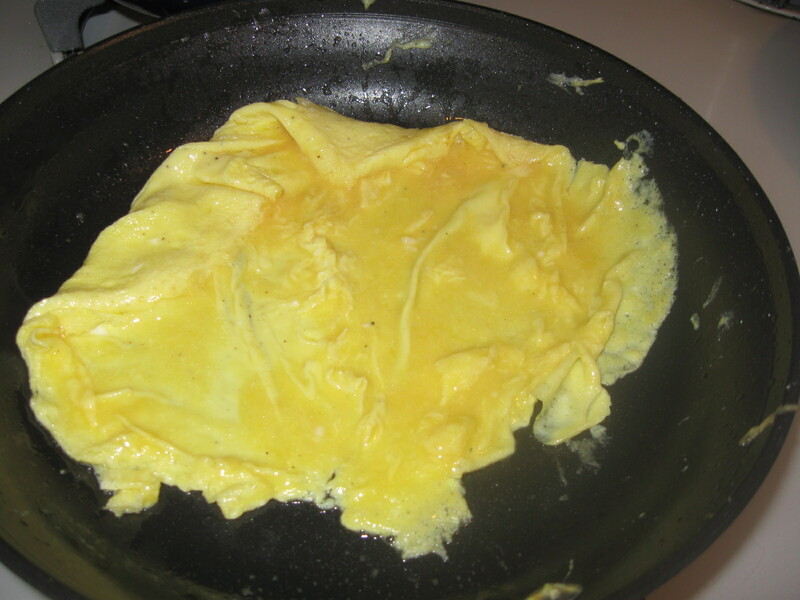 Do not worry if your omelette has rough edges while on the pan. You can fold them in nicely in the plate. I placed the omelette on the side to leave room for the breakfast sausages and steamed peas the accompanied this dish today on our breakfast table. The day started strong!